Immerse yourself in Malaysia’s thriving and vibrant capital on this comprehensive city tour. Experience the combination of Kuala Lumpur’s rich history and rapid growth, which has resulted in a stunning skyline that blends both the old and the new. Take in its main landmarks from the ultra-modern Petronas Twin Towers to the opulent Jamek Mosque and the majestic Lake Gardens. Guided by your driver and local expert you are sure to discover the true beauty of the city. Marvel at the immense scale of the Petronas Twin Towers. For six years after its construction this mega-structure held the record for the world’s tallest building and is a must see for any visitor to Kuala Lumpur. Lose yourself to this magical world, the perfect way to escape your everyday life and have a load of fun! Discover the depths of the famously loved Genting Highlands HIGHLIGHTS: * Malaysia’s biggest theme park and longest gondola lift * The ultimate gaming experience at the Genting Casino * Attractions, rides and games for all Welcome to a world of fun, located at 6,000 feet above sea level amidst a beautiful 100 million year old rainforest and only an hour’s drive away from Kuala Lumpur, it’s a great place to escape the bustle of the modern life, break the routine and to release your inner child. There is literally everything and anything you could dream of to have a good time! There is no such thing as boredom here. With three amusement parks, one outside, one inside and one waterpark – be prepared for all around adrenaline buzzes. There is no better time to explore the Malaysia’s captivating capital than just after sunset. The atmosphere turns electric as the city lights and skyscrapers shine though the dusk sky to demonstrate exactly why Kuala Lumpur has become known as “The Garden City of Lights”. Discover the vast array of culture on offer in the city with stops at the Sri Maha Mariamman Temple and the bustling China Town before dining on sumptuous Malay cuisine at a top restaurant featuring a colourful cultural performance. Your driver will pick you up from your hotel and take you on a leisurely drive through the beautifully landscaped streets, allowing you to experience the energy of Kuala Lumpur as day fades into night and the city lights up. Marvel at the incredibly intricate Sri Maha Mariamman Temple, the oldest and richest temple in the city featuring an impressive entrance carved with 228 Hindu deities. Leave the busy city behind and explore authentic nearby escapes. Visit the Royal Selangor, the Batik Factory and the famous Batu Caves HIGHLIGHTS: * Visit The Royal Selangor * Witness the incredible skill that goes on in the Batik factory * Explore the world famous Batu Caves Our first stop, The Royal Selangor is recognised as the Traveller’s Choice Award by TripAdvisor 2015. Come and find out for yourself why this fascinating place is loved by tourists all around the world. See first-hand the skilled art of pewter and learn all about its history through the in-depth exhibitions. Next, we’ll head up to the Batik Factory, a real treat for your eyes. Learn about how the wax and dye are used combined to give a beautiful effect. Watch as motifs and patterns are drawn with a canting pen filled with wax. Admire all the various Batik’s, handmade with love and talent. Experience the beguiling collision between the historic and cosmopolitan faces of the city-state of Singapore. Find yourself at a point where East meets West and past meets present, creating a city environment like no other on earth. This half-day excursion leaving in either the morning or afternoon, begins with a drive around the by driving round the important central Civic District, passing by the spacious greenery of the Padang open playing field and nearby the Cricket Club. Take in historic Parliament House, the Supreme Court and impressive City Hall. Pause at Merlion Park and drink in stunning views of Marina Bay. Leave behind the bustling business district for a touch of tranquility at Thian Hock Keng Temple, one of Singapore's oldest and most sacred Buddhist-Taoist temples. Browse the adjacent local handicraft centre to pick up a special souvenir and observe expert craftsmen up close as they work.  DUTI Tour and Travel memiliki berbagai layanan perjalanan dan wisata seperti: Tiket Pesawat rute Domestik dan Internasional, Voucher Hotel untuk Domestik dan Internasional, Tiket Kereta Api Indonesia (KAI), paket Tour, Kapal Pesiar / Cruise (Royal Caribbean), Kerjasama Corporate / Perusahaan dan Dokumen Perjalanan Visa / Paspor. Booking tiketnya cepat, nyaman dan aman! Harga yang kami tawarkan jauh lebih murah. Pesan sekarang hanya di DUTI Travel! Pesan hotel secara online dengan diskon besar di lebih dari 1 juta hotel di seluruh dunia dengan berbagai kemudahan reservasi melalui DUTI Travel. Temukan penawaran last minute setiap harinya! Saya Agustinus Jeffry Handoko selaku direktur perusahaan, mengucapkan banyak terima kasih atas dukungan dan kerjasama yang terjalin selama 5 tahun ini, saya juga mengucapkan terima kasih untuk kepercayaan yang diberikan kepada DUTI Tour and Travel sebagai travel agent yang mengakomodir kebutuhan perjalanan bisnis atau liburan Anda. Kami sangat senang bisa menjadi pilihan bapak / ibu sekalian dalam pengurusan kebutuhan perjalanan.